With its blend of Pinot Noir, Cabernet Franc, Cabernet Sauvignon and Merlot, Château Lafite Rothschild, Premier Cru Classé de Pauillac, is one of the most desirable wines in the world. 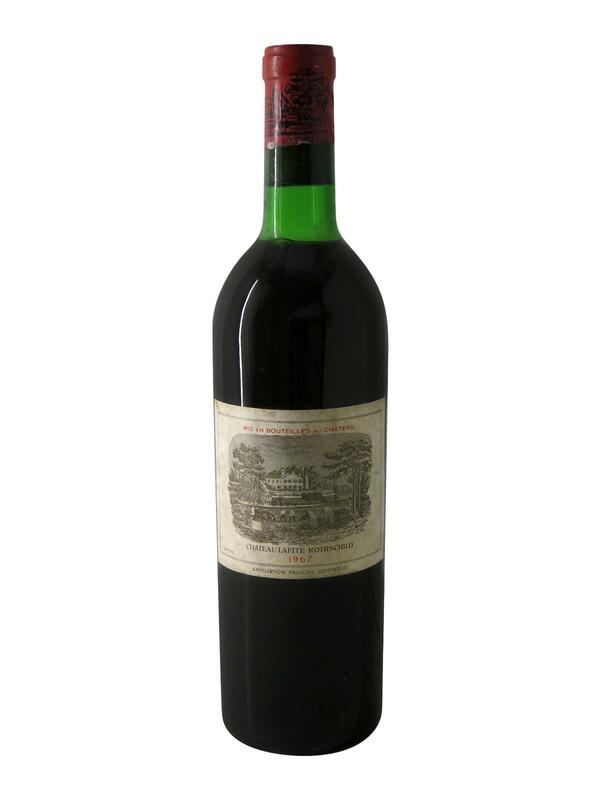 The Château Lafite Rothschild 1967 shows a light ruby color, browned on the edge of the glass. On the nose, it reveals tertiary iron fragrances accompanied by subtle fruity scents. On the second nose, after a few moments of decanting, it reveals cherry notes mixed with humus. On the palate, Château Lafite Rothschild 1971 reveals itself to be smooth and elegant with soft, silky tannins and a distinguished structure. The fruit aromas persist even if they show some signs of weakness. Château Lafite Rothschild 1967 is an elegant and distinguished wine that will appeal to lovers of sweet and refined wines.